From cranes, generators, Industrial welders, plant machinery, forklifts, through to cars, 4wds, buses, trucks, Liontrack delivering benefits when tracking your assets. Built for Australian conditions & with the ability to be supplied in IP65 rated housings we have the hardware & software solutions to suit your needs now & in the future. 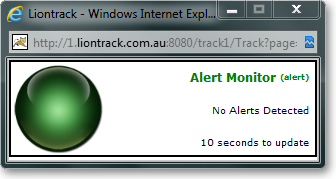 Whether you need to view your equipment constantly or daily you can depend on the easy to use, secure & reliable, Liontrack system. Choose from over 34 standard reports, view the reports online, or export in Excel format, CSV, XML, or via email. Real time visibility and recorded vehicle/plant equipment activity takes the guess work away and helps you manage your resources to the full. Unique unlimited number of Geozone capability! Define accurate Geofence boundary lines, so you can tell when vehicles or staff crosses a defined area, e.g. hazardous location or a predefined no-go area. You can also select to receive specific alerts for Geofence entry/exits times e.g., specific sites, fuel service stations stops, remote or hazardous locations. Displays the arrival times and departure times of various travelled Geozones, with the total amount of time spent within each Geozone. Displays the time spent within Geozones. Displays the departure time and driving time between Geozones. Identify when a vehicle has arrived and left a site and the amount of time they spent on site. All vehicles that enter a customer site are tagged with the customer site name against the event for easy referencing and to allow reporting on customer site names. Real time visibility and recorded vehicle/plant equipment activity takes the guess work away and helps you manage your resources.